Last week I had a lovely time revisiting some of the online resources for crime writers that I’ve found interesting. This week I thought I’d highlight a few of the publications I’ve invested in. I’m sure there are loads more. Please do mention any you’ve found useful in the comments below. I’ve read and enjoyed umpteen “How to Write” books. I find it endlessly interesting to learn about other people’s methods, and inspiring to experiment with new approaches. 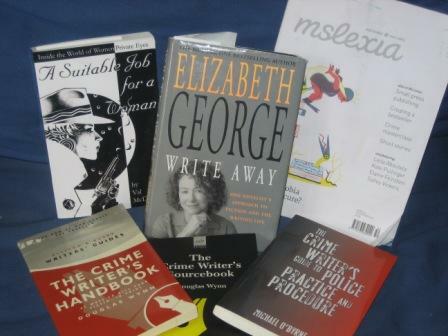 One of my favourite “How to” books is Write Away, by crime fiction author Elizabeth George. She’s the first to point out that writing’s a very individual thing, and what works for one person might not be right for another. She’s a planner, and puts character at the centre of her approach. I’ve blogged about the book before, so for more details about what to expect, click here. The writing magazine Mslexia ran a great eight-part series of crime fiction masterclasses by author Laura Wilson, starting with “What is a Crime Novel and Are you Writing One?” in issue 43. You can read an extract here. It is still possible to buy back issues of the magazine covering most of the masterclass series, but stocks are running low, so if you’re keen, order herewhilst there’s still time! For more on Mslexia generally, click here. A Suitable Job for a Woman by Val McDermid – This is a fascinating book on what life’s really like for female private eyes. Val McDermid, who was a journalist before she became a full-time crime writer, spoke to 34 women to compile this book. It’s crammed full of personal anecdotes and the real nitty-gritty of the business. Finding out how her subjects fell into their careers provides an interesting backdrop to the case studies that are also provided. Because of the way McDermid translates the women’s experience on to the page (using first-person narratives from the individuals concerned) you get a very immediate feel for their characters, their relationships with those they’re investigating, and their take on their work. The Crime Writer’s Guide to Police Practice and Procedure by Michael O’Byrne (2009) – This UK guide is written by a former chief constable of Bedfordshire police and looks at the structure of a murder investigation, members of the investigative team, arrest, interviewing, evidence, forensics, profiling, technology and much more. The Crime Writer’s Handbook by Douglas Wynn (2000) – Lots of really useful information on how crime writers can see off their victims – from Sherlock Holmes-style methods (poisonous snakes) to Golden-Age favourites (belladonna and cyanide) to the modern and gritty (throat cutting). Inevitably, it makes for some pretty grim reading, but it does give an idea of what would or wouldn’t be possible/believable in any given story situation. The book also has extensive information on methods of detection (everything from ballistics to voice prints) and some information on police procedure and the role of the coroner. 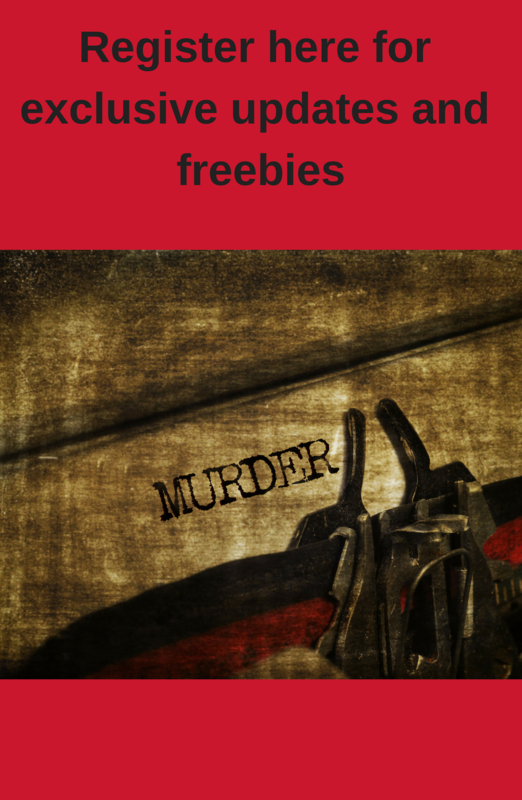 The Crime Writer’s Sourcebook by Douglas Wynn – Advice on research for crime writers, as well as multiple true-crime case studies.